Where technology meets the wall. 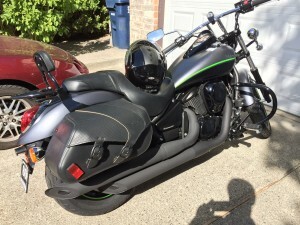 Musings about tech, beer, games and motorcycles. Bought as a factory demo with very low miles (530) and a very low price. The bike had almost every accessory available from the catalog, including: crash bars, backrest with rack, leather saddle bags, and a gel seat. It was ready to rock, and so was I. Current status (8/2018 ): ride it a couple times a week! IRC Quotes Database on Borked Collection of IRC/IM quotes submitted to us over the years.